A Long March-4C rocket lifts off from the southwestern Xichang launch centre carrying the Queqiao (Magpie Bridge) satellite in Xichang, China's southwestern Sichuan province on May 21, 2018. China on May 21 launched a communications relay satellite that will allow a rover to send images from the far side of the Moon on an unprecedented mission later this year. A satellite left Earth this week on a mission to open the dark side of the moon to Chinese exploration. The relay satellite can be used to communicate with the far reaches of the moon, allowing controllers on Earth to maintain contact with an expected lunar probe later this year to unexplored territory. But the pioneering space travel has raised concern that China is also interested in the tiny spots on the moon that never go dark, the polar peaks of eternal light. Those peaks are vanishingly small, occupying one-one hundred billionth of the lunar surface − roughly equivalent to three sheets of NHL ice on Earth. But their near-ceaseless sunshine gives them great value as a source of solar energy, to power everything from scientific experiments to mining operations. Their small size could also, scientists have argued, allow one country to take sole occupancy of this unique real estate without falling afoul of the Outer Space Treaty. That agreement stipulates that no state can exert sovereignty in outer space. But it also calls on countries “to avoid interference” with equipment installed by others. That provides a loophole of sorts, researchers say. The installation of very sensitive equipment on the peaks of eternal light, such as a radio telescope − a 100-metre long uncovered wire used to study transmissions from the sun, and deeper corners of the universe − could use up much of the available space while also providing a rationale to bar others from the area on the grounds that the telescope is too sensitive to be disturbed. “Effectively a single wire could co-opt one of the most valuable pieces of territory on the moon into something approaching real estate, giving the occupant a good deal of leverage even if their primary objective was not scientific inquiry,” researchers from Harvard University, King’s College London and Georg-August Universitat Gottingen wrote in a 2015 paper. China has chosen the Aitken Basin as the landing site for a lunar probe to the dark side of the moon. The south pole peaks of eternal light lie within the Aitken Basin, a huge impact crater that’s some 2,500 kilometres across. Chinese researchers have cited the study of radio signals as one of the primary reasons to devote attention to the area. Indeed, the availability of sunlight is a key consideration for China as it considers building a more permanent establishment on the moon in the future, Pang Zhihao, a retired researcher with the Beijing Institute of Space Science and Technology Information, wrote in a 2013 article for the Beijing News. 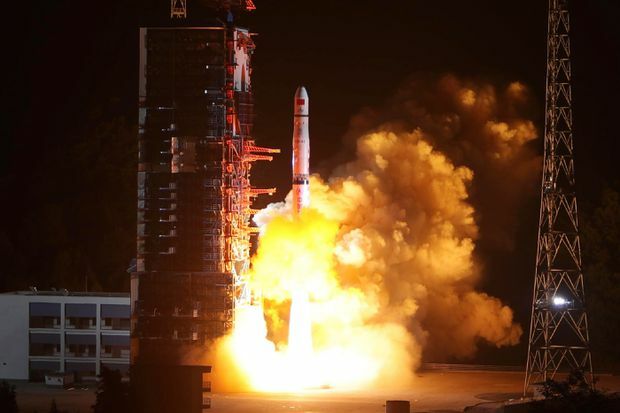 Reached for comment, Prof. Pang said the government has barred him and other scientists from discussing the Chang’e-4 mission without prior permission. Chang’e-4 is the name of China’s planned dispatch of a rover to the dark side of the moon. Chinese authorities have been careful to position their ambitions as international ones, equipped with instruments developed in Germany, the Netherlands, Saudi Arabia and Sweden. A series of discoveries has reinvigorated interest in the moon, including indications that it contains vast quantities of water, as well as other valuable resources. The peaks of eternal light are valuable even for landing a spacecraft, since they are less vulnerable to temperature swings − which can exceed 200 Celsius degrees in other places − and don’t require stocking battery supplies to power through a 14-day lunar night. But if any entity moves to occupy such important real estate to the exclusion of others, it will set a dangerous precedent, warned Elvis Martin, an astrophysicist at the Harvard-Smithsonian Center for Astrophysics. That possibility begs a prior solution. “Some kind of international co-ordination agreement or something is needed before we all get caught in this kind of race for the resources,” he said.